Home and Away’s Erika Heynatz can add another title to her long list of credits – mum. The Australian soap star and her partner, Andrew King welcomed their first child, a beautiful baby boy on Monday 7 December. Welcome to the world Charlie Kingston! 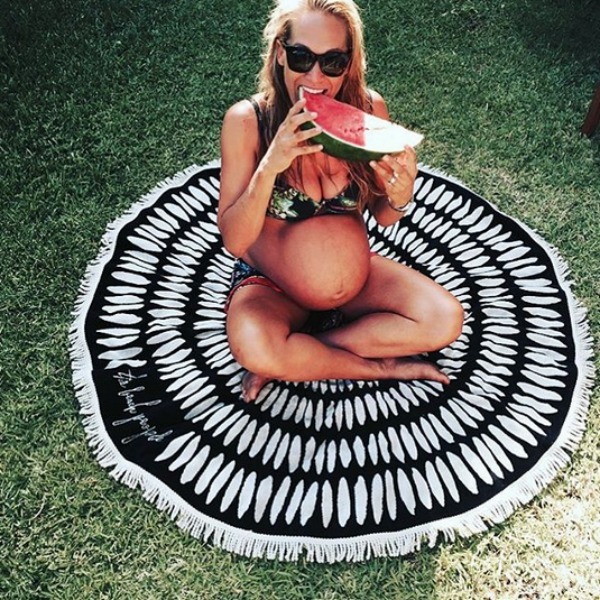 She may have played the villainous Charlotte on Home and Away, but Erika, 40, proves she is a big softy at heart with a touching message on Instagram, announcing the arrival of her little man. Erika first announced her pregnancy in June via Instagram and has been showcasing her baby bump frequently throughout her journey to motherhood. Charlie is the second celebrity bub born this week after Kim Kardashian West and Kanye West announced the arrival of their son, Saint West, on 5 December. A big Babyology congratulations to Erika and Andrew.